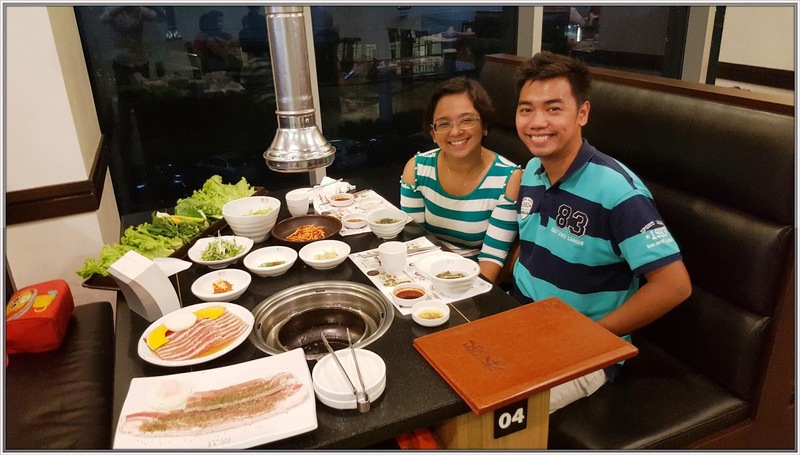 There’s an exceptions for our #MarriageFirstFriday for not having lunch together, this is during First Friday of the month since I always attend the First Friday Mass here in our office and because of this we opted to have dinner last Friday. We didn’t bring our car during weekdays as our house is just a few kilometers away from our work place. We just walk from Ayala to Pasong Tamo when going home. 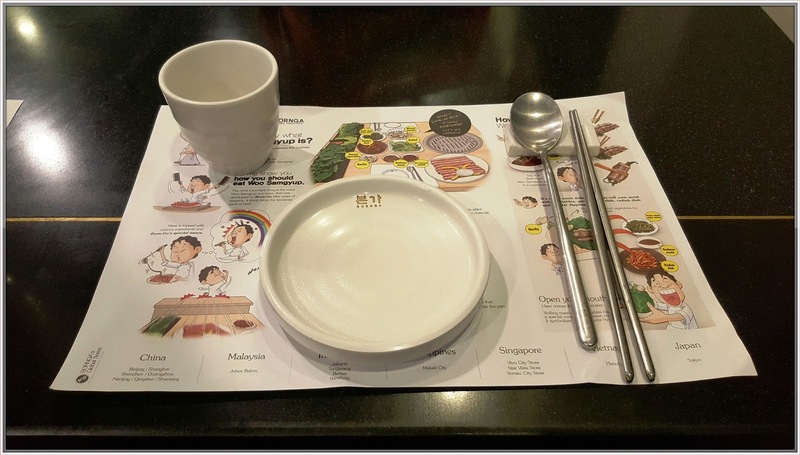 We always pass by the Alphaland Makati Place and got curious about it, so we end up going in and exploring what the place had to offer until my husband told me that he’s craving for some Korean food. Luckily, we found the Bornga Korean Restaurant nestled on the second floor of the building which according to one of their staffs, this is their first branch in the Philippines. Wow! They also established other branches in China, Malaysia, Indonesia, Singapore, Vietnam, Japan and here in our country. By the way, Bornga means house of ancestors. Upon entering the restaurant, the employees welcome and ushered us in our table. When the staff was trying to open the ventilator, it didn’t work so he suggests us to transfer to another table. Good thing that time was not full and they accommodated us even without reserving ahead. The restaurant contains long, narrow space with a glass wall on both sides, the only downside of this restaurant is that even with the hood ventilators over each tables, the smoke levels gets a bit thick over the place. 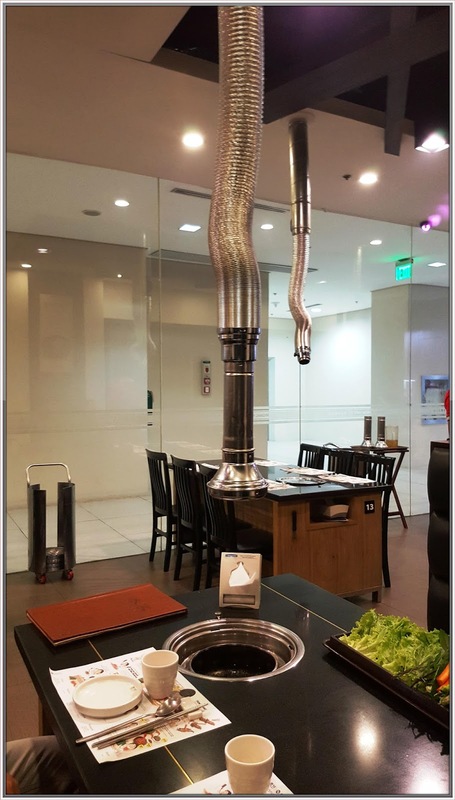 Minsan nga kala mo may fog sa loob ng resto eh. I suggest they need to improve their air circulation para hindi masyadong mausok. Once seated we were offered a complimentary hot/cold tea and gave us sour soup which I think helps you increase your appetite. First came the vegetable tray and the variety of side dishes. Ang dami promise! It’s time to eat healthy! I got surprised when they told us that vegetable tray is refillable. Wow! Look at this, Green Leaves! 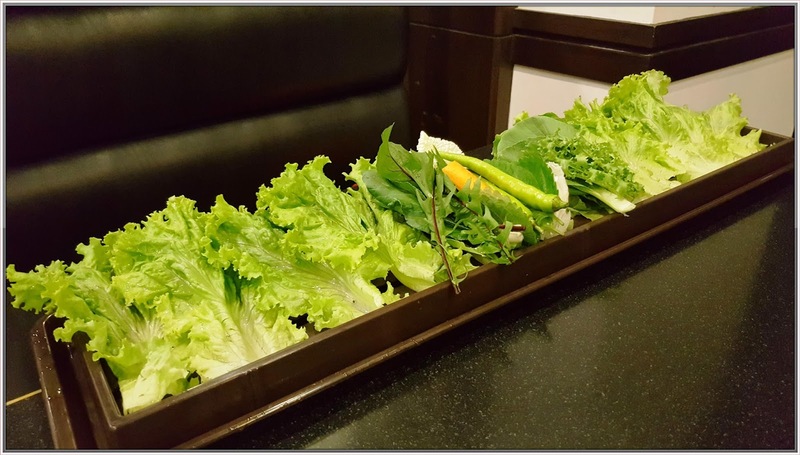 Those are not just lettuce, there’s also cabbage and other green leafy vegetables that they offer. It’s so tasty and fresh. 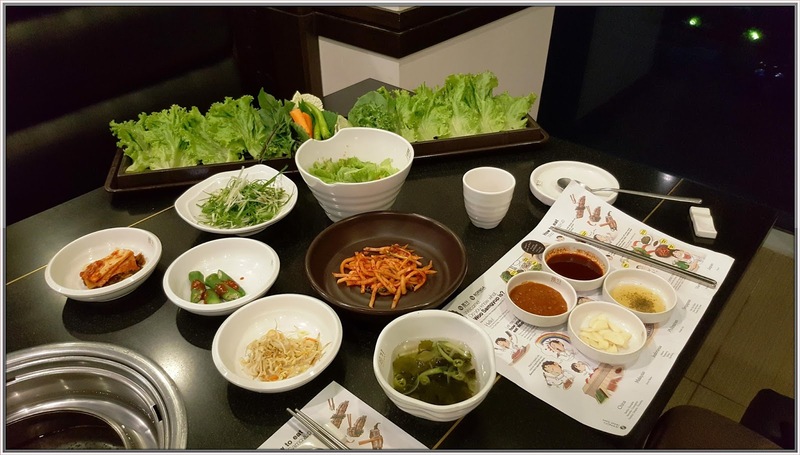 Special vegetables, Garlic, Soybean Paste, Salad, Watery Kimchi, Radish Dish, Woo Samgyup Sauce and Thinly Sliced Green Onions. The husband ordered for Mansinchang Samngyeopsal (Fine cuts are made through the meat for quality grill, a tender bite and mild flavor.) and Woo Samgyup (thinly sliced beef developed by Born-Ga after years of research) . Both tasted good, it was flavorful and the meats were excellent. Since gutom si Ian, he also ordered rice which is completely unnecessary because the green vegetables are enough, well for me! 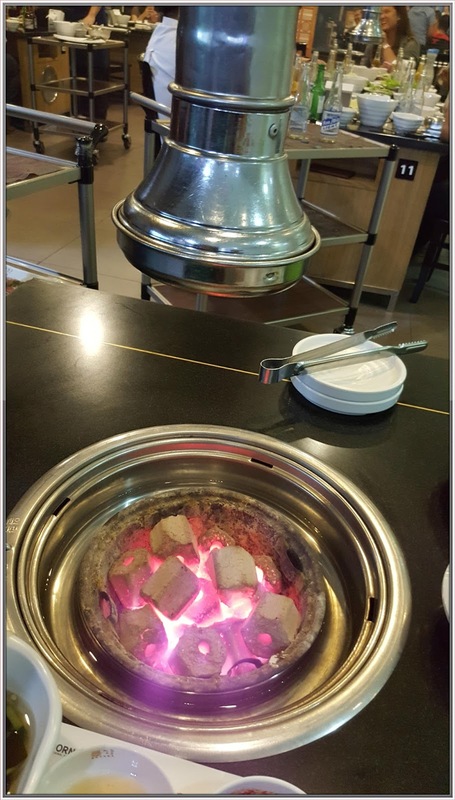 I want my husband to experience how to grill meat in Korean way. 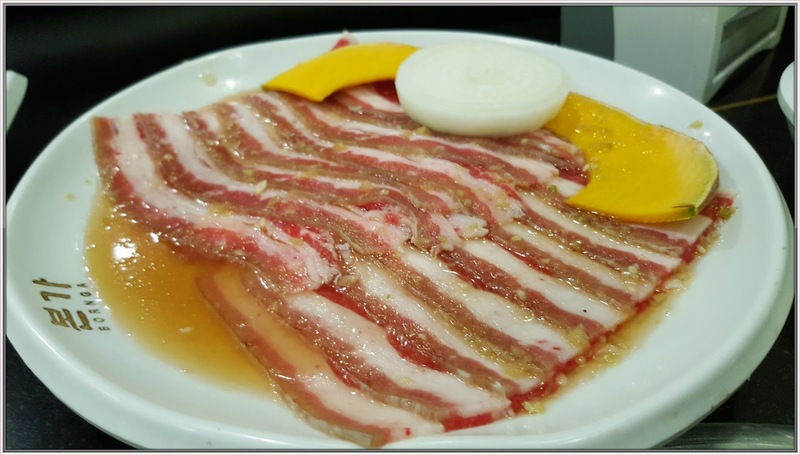 This is kinda different with the other restaurants we already tried as they use well-lid charcoal instead of gas kaya mas mahirap icontrol yung lakas and hina ng apoy He cooked the Woo Samgyup while the helpful waiter cooked the beautiful thin slices of beef. 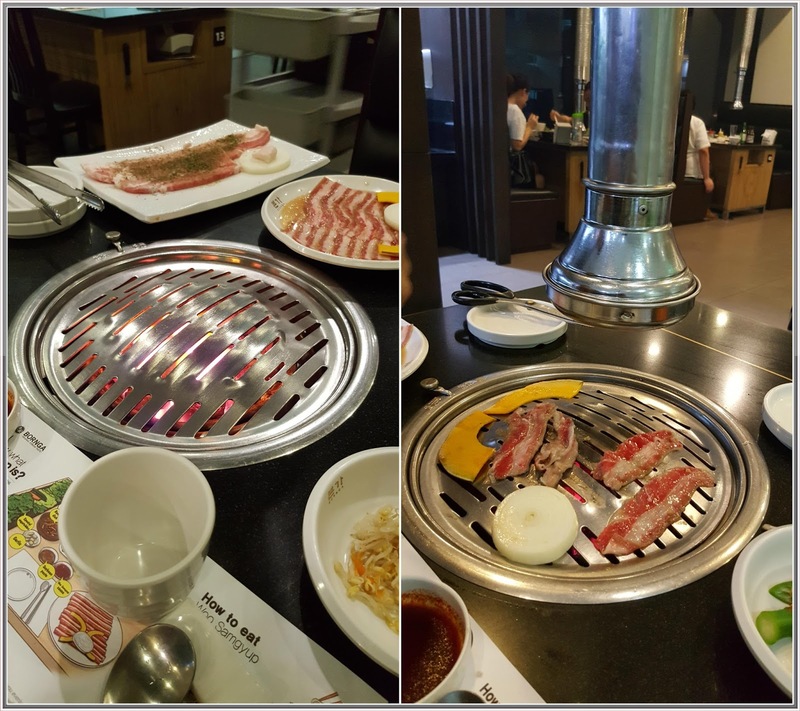 Woo Samgyup is so thin that it cooks the moment it hits the pan. The meat is topped with various ingredients and Born-Ga’s special sauce. 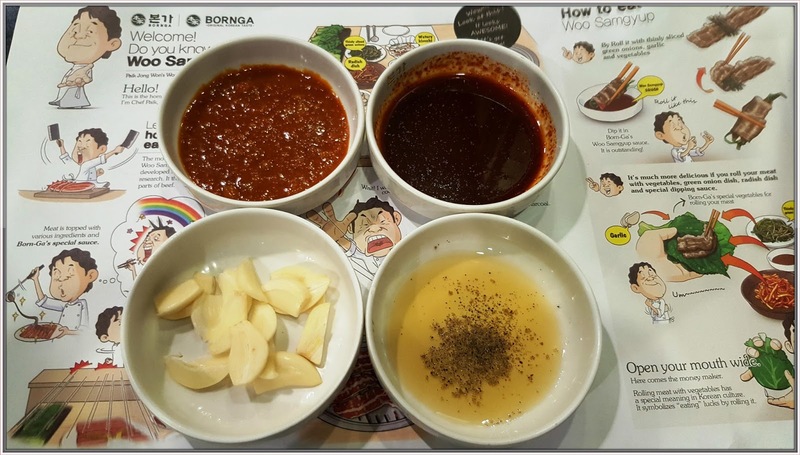 Third Step: Dip it in Born-Ga’s Woo Samgyup Sauce. Fifth Step: Open your mouth wide and eat the rolling meat with vegetables. 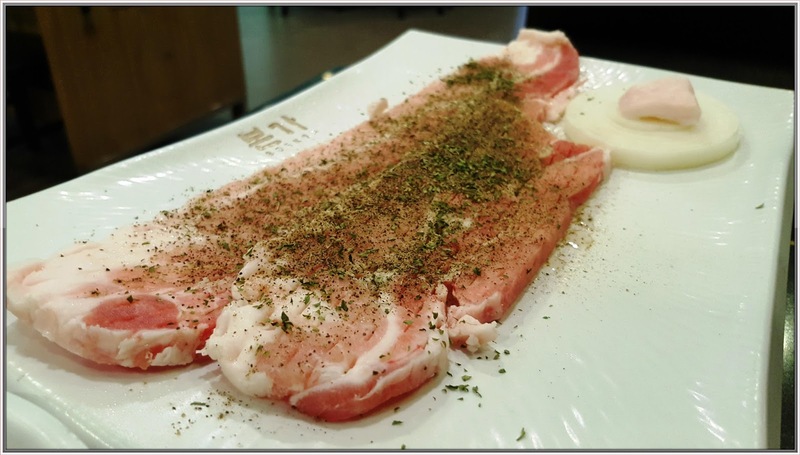 (Trivia: Rolling meat with vegetables has a special meaning in Korean culture. It symbolizes “eating” lucks by rolling it. I never thought that I could eat so much meat and vegetables that night. Nabusog talaga ako same with the husband. 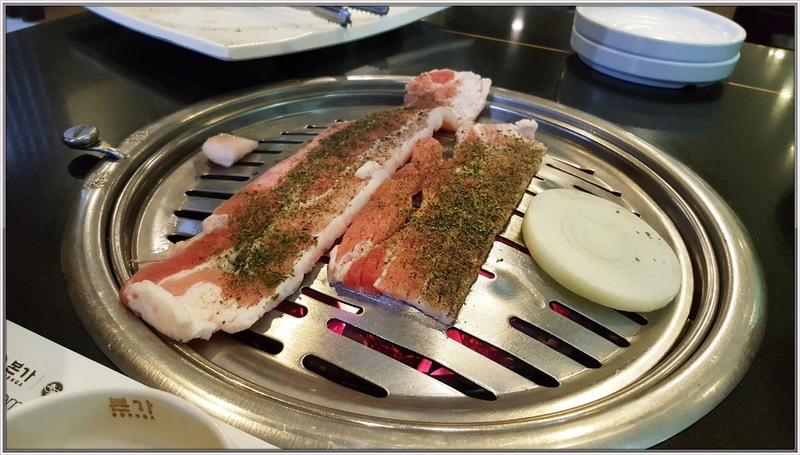 The grilled meat is so tender and juicy as it melts in our mouth. We felt that we had our fair share of vegetable requirement for the day. Overall, we had a hearty, enjoyable dinner at Bornga. 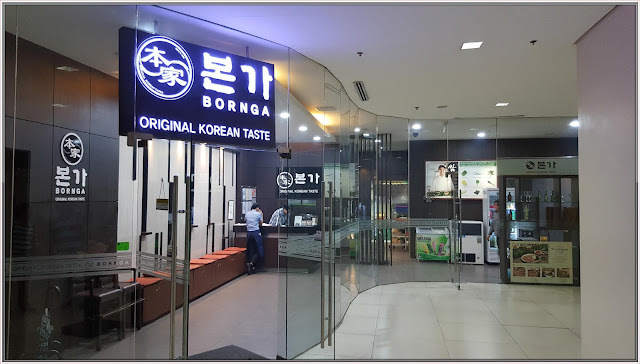 I will highly recommend this place if you’re looking for some Korean cuisine in Makati.